SHAB is about lives of people who live on the edge of what society finds acceptable. It is about coming to terms with oneself and accepting other people as they are. 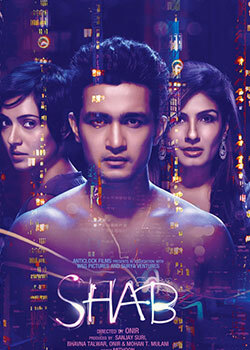 The film is set in the cosmopolitan city of Delhi where people from all over the country come to fulfill their dreams. For some, these dreams are realized, while others remain in an endless pursuit of some elusive dream. Perhaps it is the hope of ultimately reaching that destination that keeps one going. And then there are others who surrender to the overwhelming power of the city of dreams and get lost in the maze. SHAB is a story of the search of happiness and love of multiple characters caught in the web of circumstances of an unforgiving and cold city. Copyright © 2019 Kahwa Entertainment. All Rights Reserved.